In this article, we will look at a modern, horizontally scalable, responsive, non-blocking tech stack and talk about the purpose of each technology. In our last article, we discussed the technical architecture for our new online store, which we've designed specifically to avoid the scalability problems that often arise in applications servers + RDBMS. In this article, we will look at our modern, horizontally scalable, responsive, non-blocking tech stack and talk about the purpose of each technology. Here's a picture of our entire stack—which technologies we chose and why we chose them. 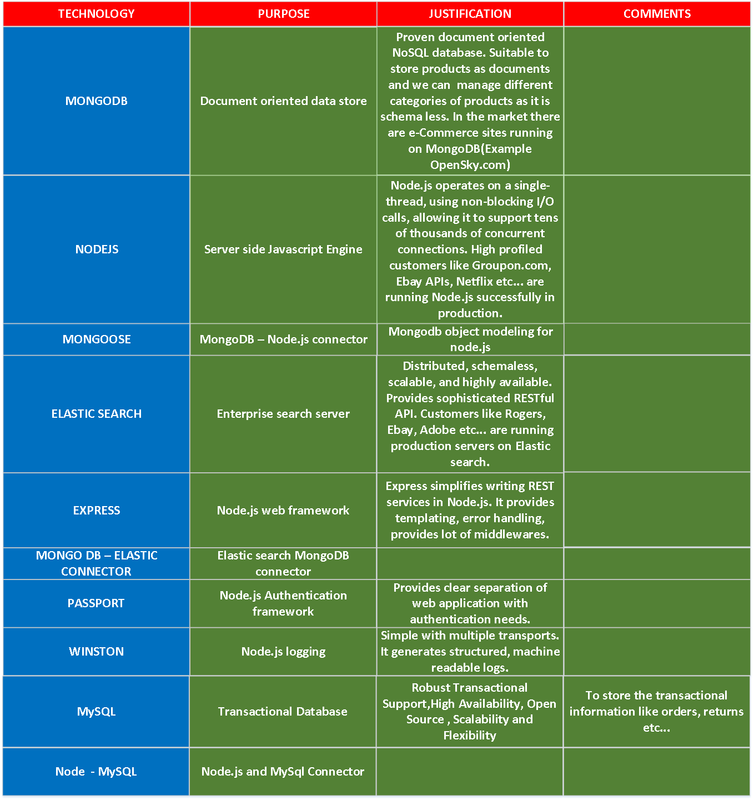 You can find the product catalog document design and associations between different catalog entities with MongoDB here.